Jiří Činčura wrote on Firebird-devel : There’s something I’ve been working on for a few evenings and weekends. 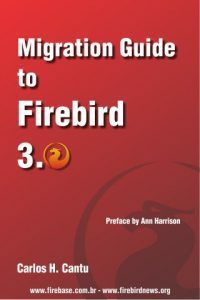 Firebird 3.0 Package is uploaded into Firebird 3.0 ppa. There are packages for Ubuntu 14.04 LTS (Trusty) and Ubuntu 16.04 (Xenial). I’m pleased to release first test version of FB/Java, compatible with Firebird 3.0.0. FB/Java is an External Engine plugin for Firebird that makes Firebird capable of run functions, procedures and triggers made in the Java platform. It complements Jaybird making it interface with Firebird engine and handling the infrastructure necessary to support user routines. It also has a client utility with functions to install and uninstall the plugin in a database and that users may use to deploy and undeploy Java classes and resources stored in JAR files to a database. Bugs should be filed in the github project. This test version uses a modified snapshot of Jaybird 3.0.